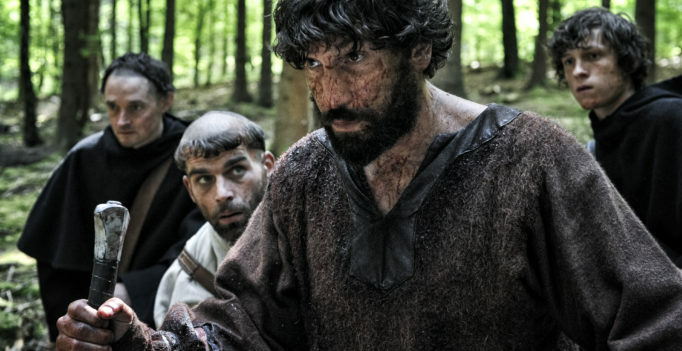 Pilgrimage will be known as “that movie where the Punisher fights alongside monk Spider-Man”. By that, I mean Tom Holland (Spider-Man: Homecoming) and Jon Bernthal (Netflix’s Daredevil and The Punisher) have starring roles in Brendan Muldowney’s action/drama about a monastery’s dangerous mission. The Girl King arrives with a certain amount of baggage due to its connection to a classic of cinematic history.